Obviously worth mentioning is Portuguese fortified wine (Port wine a.k.a vinho do Porto, Porto or simply port) produced exclusively in the Douro Valley. The fortification is achieved by the addition of a neutral grape spirit known as aguardente in order to stop the fermentation. Although it was originally just a method of wine preservation, centuries later it remains one of the most popular types of wine. 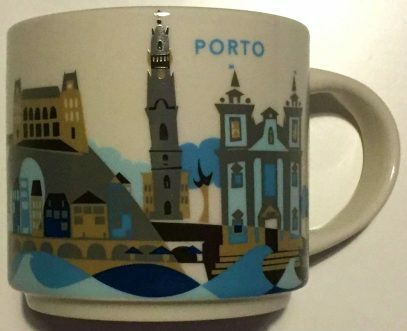 Interesting detail, in Portuguese, the name of the city is spelled with a definite article (“o Porto”; English: the port). This resulted in another English variation of the name – Oporto, seen in many sources and used by many speakers. – Clérigos tower – part of Clérigos church.